Looking for opinions on choice of binocular. I have currently recently started to view the moon and stars from my urban back yard using binoculars. I am looking to upgrade and think I have currently narrowed my choice down to Orion Mini Giant 15x63, or Opticron Oregon 20x80. Have any members used one of the other, or both? I don't mind using a tripod. My first post on this site. The Orion "Made in Japan" binoculars are very nice. I think they're selling out old stock since no one else has them. These should be at the limit of braced handholdability. 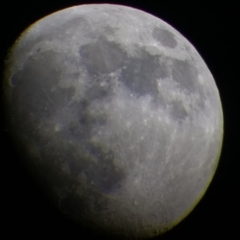 The Opticron will definitely require a tripod. I use a pair of Galileo 15x70s in this range. They are pretty similar to the Celestron 15x70 SkyMaster. For $65 shipped in the US, they'd be hard to beat. I don't know what they cost in the UK. Thanks for the input Louis D.
I reviewed the Oregon 20x80 for S@N last year. 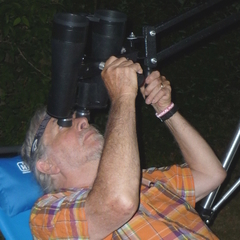 You can access it, and my other binocular reviews, here.